Tensegrity is a string quartet made of up four siblings from the Lugo family of Jonesborough, Tennessee. The ensemble performs a diverse repertoire from Baroque to Bluegrass at various performance venues throughout the East Tennessee and Southwest Virginia region and beyond. In the summer of 2014, Tensegrity performed the pre-concert show for the Symphony of the Mountains' lakeside concert at Chetola Resort in Blowing Rock, North Carolina for an audience of 3000. 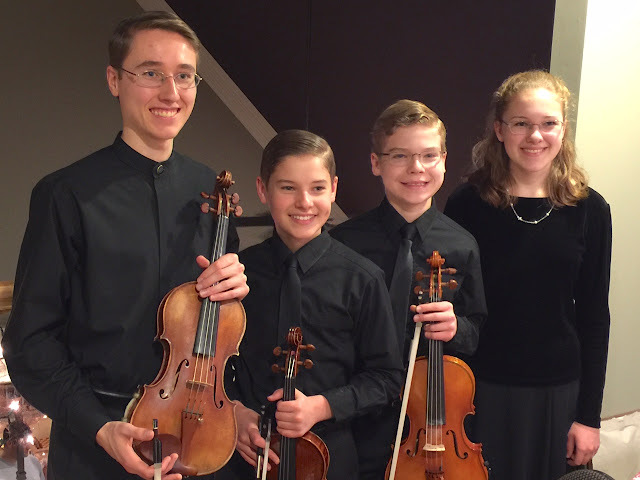 Individually, the members of Tensegrity have received awards at the regional, national, and international levels for their respective instruments and have studied at intensive chamber music institutes with quartets including the Fry Street Quartet, the Kontras Quartet, and the Miami String Quartet. As an ensemble, Tensegrity is coached by George Anthony Figueroa, the Artistic Director of Chamber Music Lenoir, and Dr. Wesley Baldwin, Professor of Cello at the University of Tennessee School of Music.